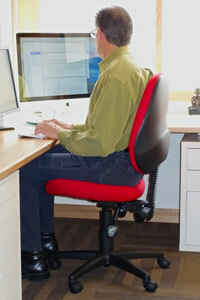 You can trial before you buy your Perform Ergonomic chair in your office and home free from cost. We will provide set-up service to maximise what you need to work in an ergonomically sound way. Are your ergonomic chairs past their use by date? Are there broken chairs you don’t know about? Do they provide adequate support for your employees? 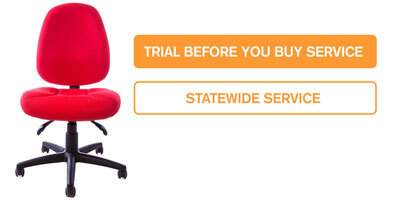 PERFORM ERGONOMICS provides a FREE and OBLIGATION FREE audit of your fleet of ergonomic chairs. We will inspect and test your chairs and provide you with a report listing each chair’s condition. Our in-house ergonomic expert has developed a series of 12 important checks that any office ergonomic chair should go through every few years. We will provide the report to your nominated contacts and include suggestions for suitable replacement chairs at no obligation. PERFORM ERGONOMICS on 0419 298 598. Do You Know How Bad Some of Your Ergonomic Chairs REALLY Are? Chairs in an organization are often overlooked. But many workplaces have faulty chairs that are old, worn or broken and are steadily straining employees and putting them at risk of injury. Our in-house ergonomic expert has developed a series of 12 important checks of the ergonomic and operational aspects that any office chair should go through every few years. Perform Ergonomics provides a FREE* and OBLIGATION FREE audit of your fleet of ergonomic chairs. We will inspect and test your chairs and provide you with a report listing each chair’s condition and priority for retention or replacement. We classify the chairs into 7 categories from “Excellent” condition to those that suitable for “Repair” and those that meet the “Condemn” criteria (i.e. no longer suitable for the health and safety of your workforce). A report is then submitted to you with prioritised recommendations, including suggestions for suitable replacement chairs (at no obligation). The Perform Ergonomics Free Office Chair Audit enables you to be sure you have a fleet of safe and sound ergonomic chairs. A good fleet of office chairs increases productivity while reducing the incidence of workstation injury.